In 1956, Benjamin Bloom (along with a group of collegues) identified three domains of learning: Cognitive (Knowledge), Affective (Attitude) and Pyschomotor (Skills). Trainers and instructional designers usually refer to these as KSA (Knowledge, Skills, and Attitude), the end result of an effective learning event or experience. 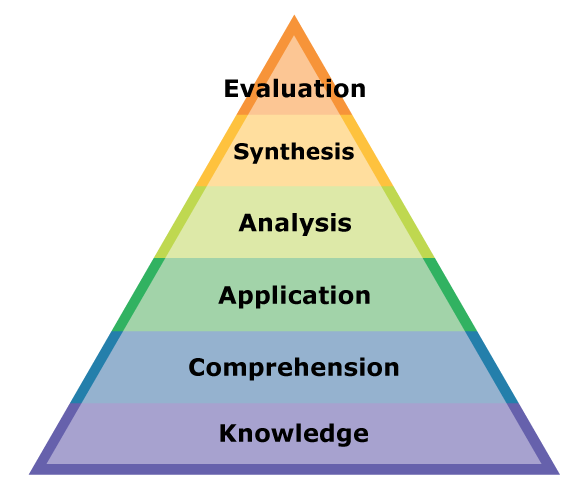 Although Bloom's Taxonomy has been around for over 50 years it's still respected by learning professionals to this day. One of the many things I learned as a new instructional designer was Bloom's Taxonomy and I've continued to use it over the years so I was really interested in an email I received from eLearning Guild today about a new research report they've just released. In Cecelia Munzenmaier's report, Bloom's Taxomony: What's Old Is New Again, she describes the history and revisions that Bloom's Taxonomy has gone through and examines how it's being used. She describes why it has endured despite criticism and how it can help instructors, instructional designers, and educators of all kinds. The revised version is worth examining since it now makes it easier to precisely target a learner's desired performance. The new emphasis on cognitive processes addresses a weakness in the original taxonomy and it has also been updated to include new digital technologies like social media. It's definitely worth the read. The eLearning Guild is offering it free to members. Membership is free if you haven't already joined.